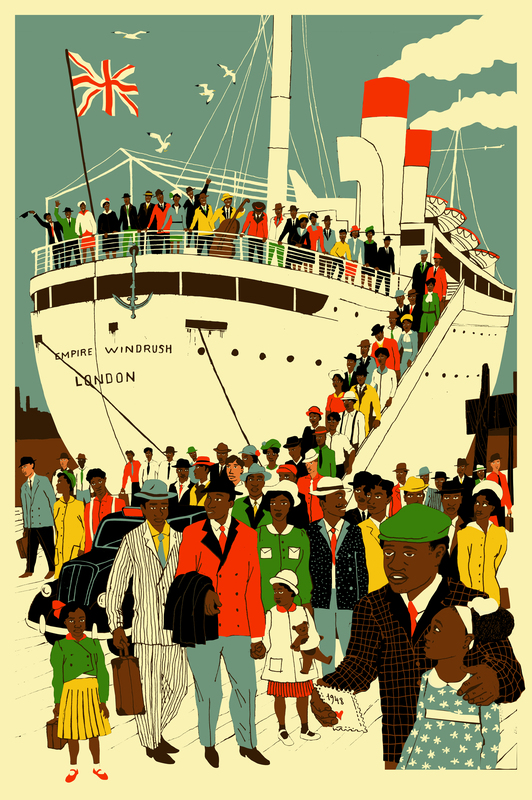 By Michael Walton, Poster Art Commissioner for Transport for London and London Transport Museum since 1998. Michael was one of the judges for 2019’s Poster Prize for Illustration competition. 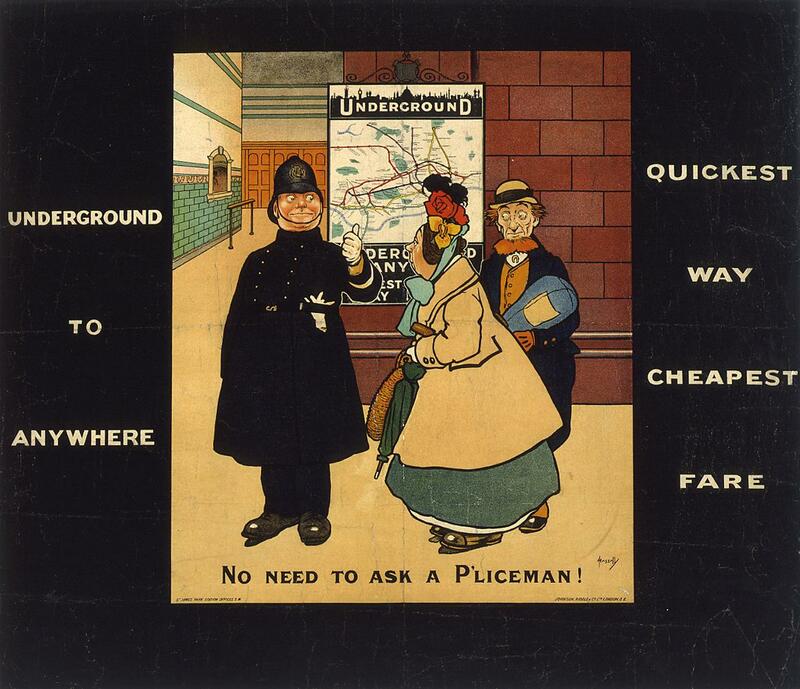 Transport for London and its predecessor organisations have been commissioning art posters since 1908, the first acknowledged art image being No need to ask a P’liceman by John Hassall. Frank Pick, appointed Publicity Manager for the Underground Group of companies in 1908, quickly set about applying high standards of advertising content, presentation and display on the stations. Pick recognised that low standards of adult literacy, static passenger revenue and station environments overcrowded with poor quality signage and advertising were destroying clarity. Good design in all its forms would help build a brand that symbolised quality and reliability, and of course stimulate more passenger usage. Pick presided over commissioning art and design posters for use on London Underground and (from the formation of London Transport in 1933) on buses and trams. The images commissioned were primarily intended to inform passengers of events, places to visit, safety and behaviour messages as well as sometimes to add interest and intrigue to entertain and educate the travelling public. The variety of artists and designers commissioned, their artistic style, their experience, their gender and their reputation were of lesser importance than their response to the brief they were set. In a period where the only accessible media were posters, newspapers and magazines, the poster reigned supreme as a mean of mass communication and there was nowhere better for posters to be displayed and their simple messages understood by millions than on Underground stations. 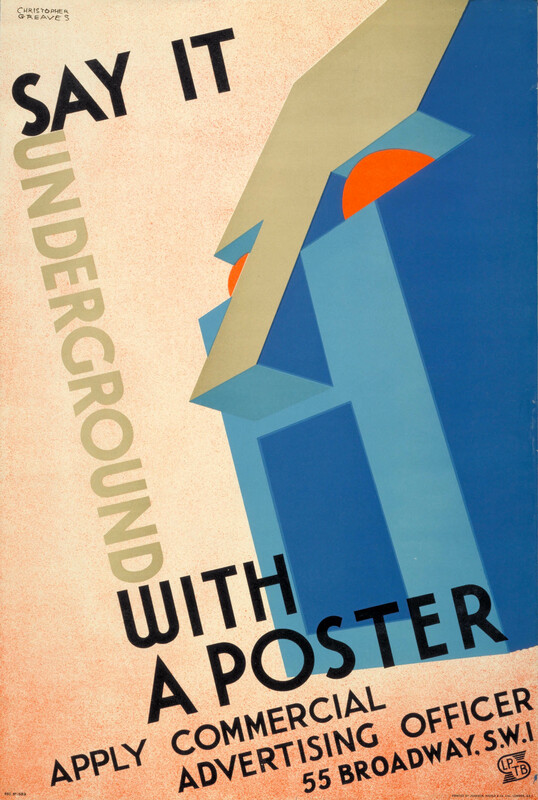 It is acknowledged that the ‘golden age’ of posters ran between 1920 and 1939 (the period between the First and Second World Wars) and so many fantastic images by internationally renowned artists such as Man Ray, Graham Sutherland, Freda Lingstrom, Abram Games and Edward McKnight Kauffer were posted on the Underground. During the 1960s the importance of the art poster declined. More people owned cars and televisions which in their different ways replaced the use of public transport for visiting cinemas, dance halls, shopping and days out in London or the countryside. There were more pressing priorities for the use of funds than producing ‘pretty’ images. The art poster largely fell out of use from 1976 until 1986, when a new and enlightened Director of Marketing, Dr Henry Fitzhugh, was appointed and he revived the art programme with some stunning commissions including Tate Gallery by Tube and Highgate Ponds. With various intervening twists and turns of fortune, I was invited to carry on the tradition in 1998. I am a passionate believer in great poster art and its power to please, annoy or be hated, but never to be ignored! We have a limited budget for poster commissioning, so it is with great care that we choose artists and subjects. The annual list of subjects reflects what are important objectives for London Transport Museum, Transport for London and the Mayor of London. Artists and designers we employ are drawn from the huge array of illustrative and design talent that London hosts. Photographic commissions are largely avoided to differentiate the overwhelming output of that medium from the far less used illustrative approach. Once a topic and appropriate artist is agreed, meetings take place to explore ideas, formats, budgets and timescales for delivery and display and a full written brief is issued. The chosen artist is invited to submit a series of rough sketches and suggested colour palette and a further meeting takes place to explore the final options for production. When the artwork has been delivered, the next steps are to employ in-house designers to format the artwork into a poster with the approved text and logos ready to submit to Transport for London and City Hall in time for approval. Continuing the great tradition of commissioning art posters, we also host the biennial Poster Prize for Illustration exhibition, in parternship with the AOI. This year’s exhibition, London Stories, is on display at the Museum until 14 July 2019. 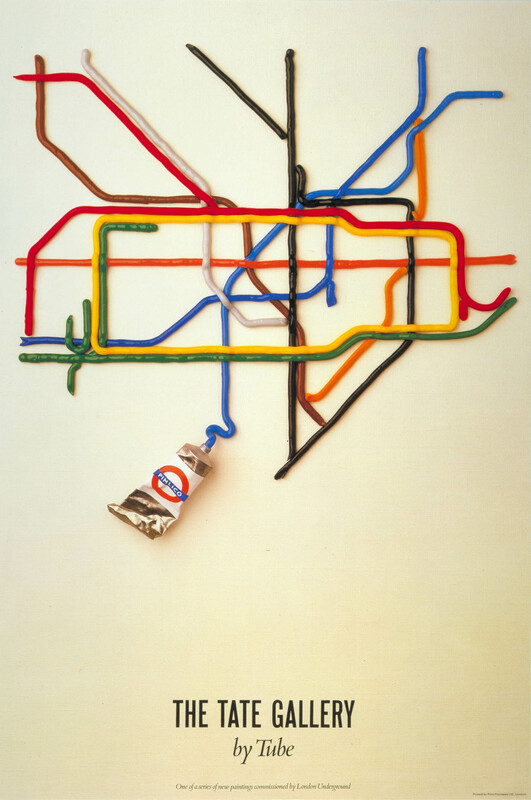 The winning poster, London is the Place for Me by Eliza Southwood, will be displayed across the Underground network. Art posters still engage millions of London Underground customers and doubtless persuade some to take additional journeys to featured destinations. 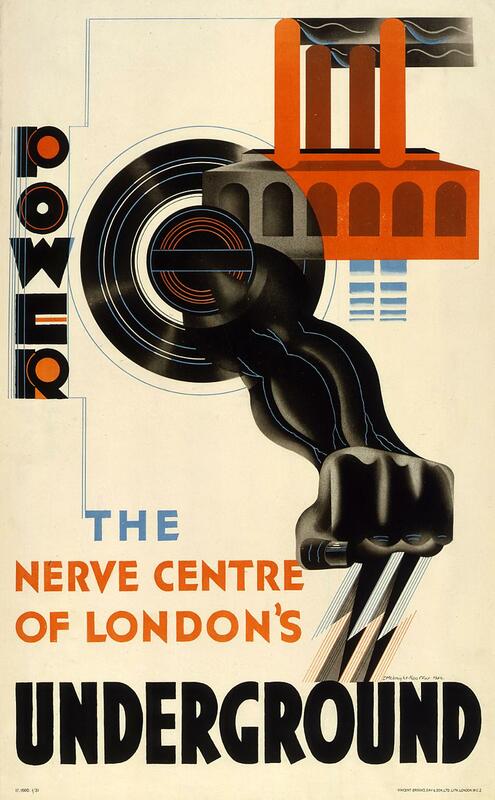 These posters are sold in London Transport Museum’s shop to raise revenue to support its charitable objectives, and as we purchase appropriate copyright in perpetuity, we can assure these images will be available for the public to enjoy, and the Museum to use, for ever. I am so proud to help maintain this ancient, honourable, but still wonderfully relevant job!